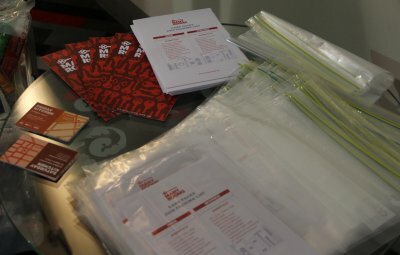 Our care pack ministry provides much needed hygiene and food items to those presently experiencing homelessness. 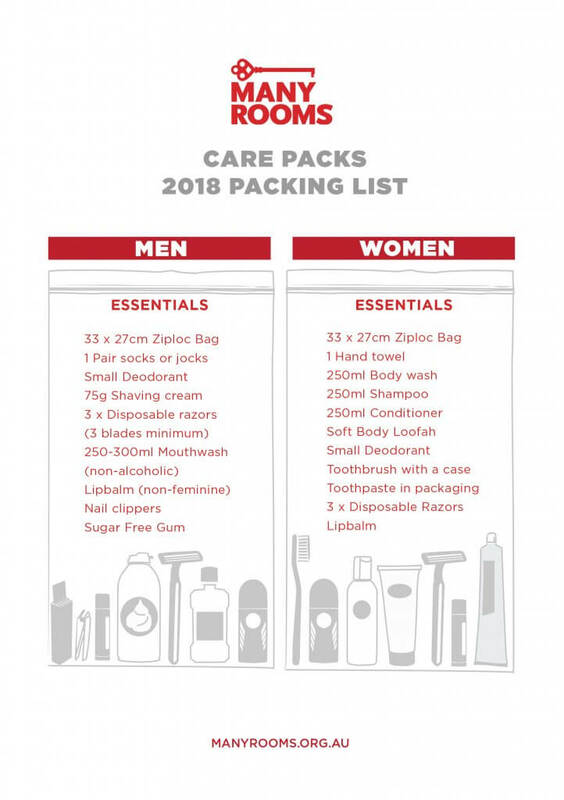 Many Rooms is once again collecting ‘Care Packs’ for the homeless and disadvantaged in our community. 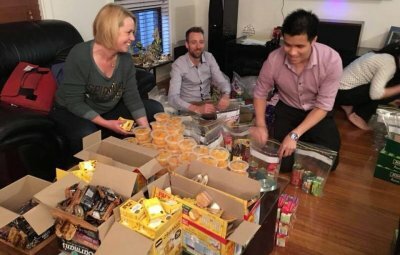 This is such an easy way to get involved, and practically love those in need this Christmas. While we gift Care Packs throughout the year at our Kitchen services and partner organisations, this year we’ll be gifting them as part of our Christmas celebrations. So pick up your zip lock bag and the below list, add a few items to your weekly shop and have a packing party!! Care has been taken to ensure that the items provided are relevant to the needs of those experiencing homelessness, and includes items not often available from other services. Please consider donating financially to help us expand our care pack services.